The smallest breakout & target board for the 14-pin ATtiny84, including AVR ISP header, reset switch and pull-up resistor, and bypass caps. Step up to an ATtiny84 for more power and 6 more pins. Easy to breadboard, prototype and program ATtiny84 with eeZee Medium Tiny. Your choice of crystal and caps, pre-installed, or no crystal. Want chips with that? 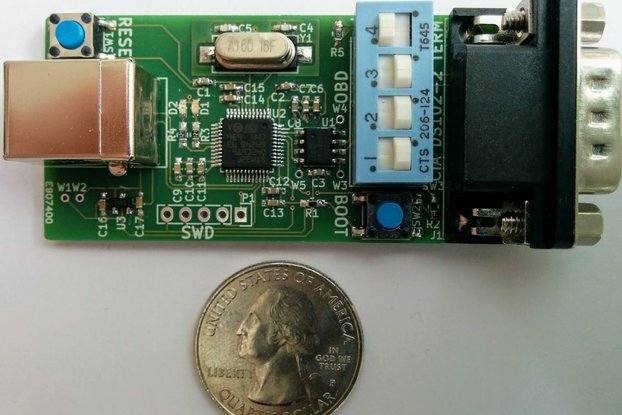 Buy an ATtiny84 with your board, too! eeZee LED for your "hello world"
eeZee RGB when you're ready to display color! MCU not included so be sure to add this option if you don't have one. Or, if you just want a breadboard, you can choose from a 400-point mini breadboard with dual power rails, or 170-point micro breadboard. 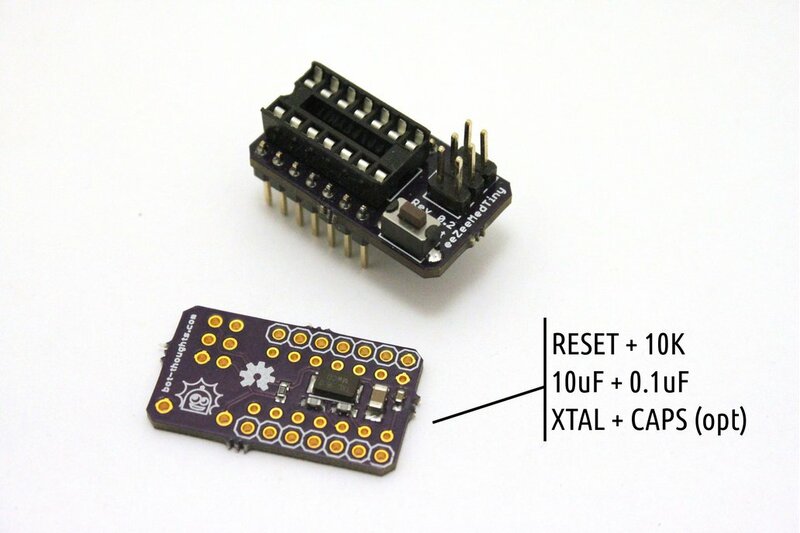 Use Arduino to program your ATtiny85, 84, or 4313. Designed, fabricated and assembled in the United States of America. If it were big enough to make the crystal an option. Many people use the Tiny's with the internal oscillator. This board makes the oscillator mandatory. This ties up two pins that might be otherwise be I/O and for my use relegates it to a programmer board for programming devices and recovering others that were programmed for a crystal oscillator. Not one of my favorite 84 breakout boards.